Rise and shine cupcakes, it’s time to wake up! Or maybe, the one that needs to wake up and stop living in a cave is me! Obviously, that’s where I’ve been spending my time recently as it was just a month ago when I heard about the infamous Rimmel Kate Moss lipstick in 107 (£5,49). When last year Rimmel came out with their new Lasting Finish Matte line, honestly I didn’t pay much attention to it at all. As you know, I have ridiculously dry lips and matte lipsticks are definitely something I try to avoid. However, when I saw this little beauty popping around some of my favorite blogs, I decided to step out of my comfort zone and try to make it work for me. Long story short – I have finally found my perfect winter red lipstick and I can see it being glued to my lips for the foreseeable future. As much as I adore the gorgeous shade of 107 (hate that they don’t have names!! 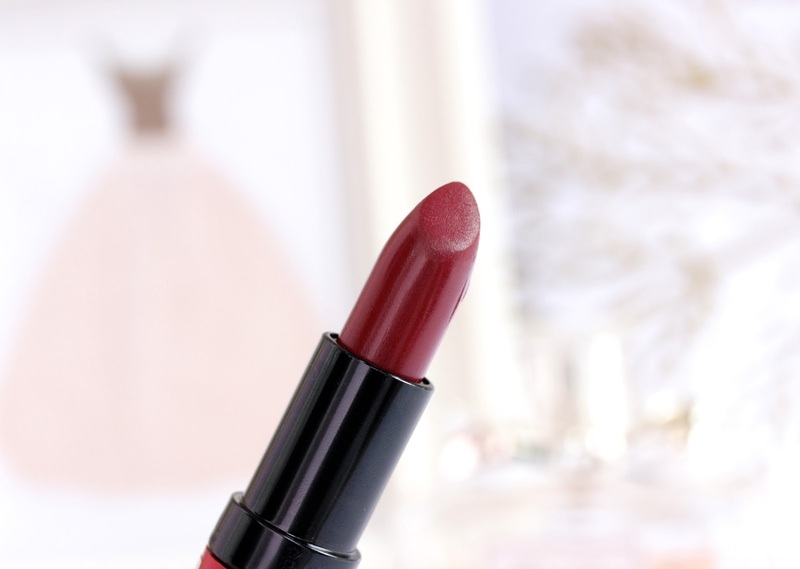 ), the biggest surprise came from the formula of the lipstick. I am not going to lie, the first time I tried it on I was petrified that it would chap my lips like crazy and would dry them out further. Luckily, I was completely wrong and the lipstick actually felt okay. Wasn’t ideal but there was no pain or nasty tightening. What I do now is, exfoliate my lips, apply thin layer of my favorite EOS lip balm (review here) and then put the lipstick on top. This helps the lipstick to feel really comfortable on my dry lips but I can definitely skip this step and I would be fine. The Kate Moss Lasting Finish Matte lipsticks are somewhat creamy and have nice velvety texture. The formula feels a bit heavy on but I’m not complaining. 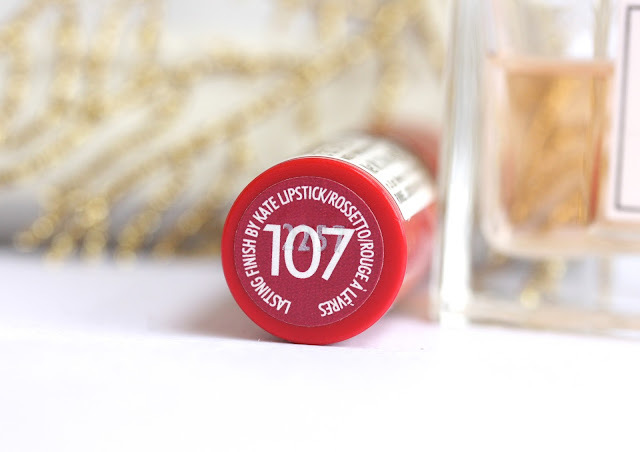 107 is insanely pigmented and glides on the lips like charm. I am really impressed by the staying power of this gem as it stays on my lips for some good six hours with minimal fading. Have in mind that this lipstick stains the lips a bit though. What I also adore about the formula of this lippie is that even though the color is very rich, it doesn’t bleed of the lips and I can get away without wearing lip liner underneath. Have you tried 107 before? Which is your favorite dark lipstick for autumn and winter? Oh I've been looking for the perfect lippy for Winter, this may be it! Lovely shade. This sounds like a great lippy, it looks like a gorgeous colour. Love the look of this shade, i think i might have to pick it up! I have been meaning to get a shade like this for a while - such a lovely autumn winter shade. Thanks for such a good review. This color is really quite lovely! I adore wearing dark lip colors in fall as well. Currently wearing the ysl lip stain in 14 (ugh no name again) it's really nice! This color is so pretty! It looks like a great color for the winter! I saw these in the drugstore and was contemplating getting some, now I wish I did this color looks amazing! This colour looks gorgeous on you. Perfect for Fall! Such a beautiful trendy color! I have this! Definitely one of my favourites. It seems like every British beauty blogger has a soft spot for this shade! I am so jealous as we don't get it in America! I first saw Zoe (Zoella) where it and I've wanted it ever since! It really is a gorgeous shade. At least we get all the MAC shades because they have such gorgeous vampy ones too. 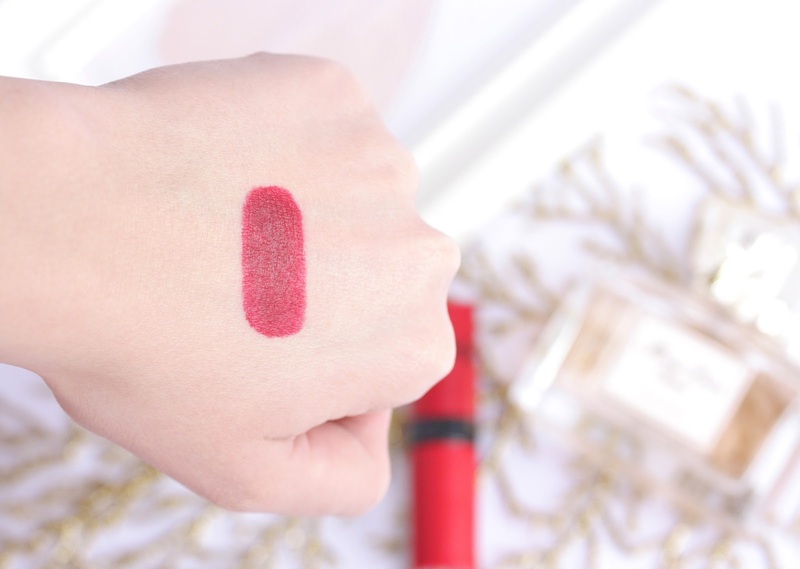 Such a lovely lip colour- perfect for the Holidays! I used to have this lipstick, but the shade just didnt suit me! I've been looking for a lipstick like this so thanks for sharing! I love the Kate Moss lipsticks so that's even better. This is such a gorgeous colour, i hope they never stop producing it! My other A/W favourite is the Rimmel Colour Rush Balm in red. I know the feeling at Mlhauken! I saw this at my local CVS and then the next time I went to look for it, it was gone! haha. No idea when I'll be able to get anywhere near a shop selling Rimmel again, but let's see. Where there's a will, there's a way, right? You have a gorgeous lip shape by the way!